Jeremy Hunt's push for free trade deals across the world is likely to open our NHS up to further private sector profiteering. Regardless of whether the Tories’ final Brexit plan takes the form of the Chequers agreement – something which looks highly unlikely – or of a hard Brexit (i.e. trading on WTO rules), it will all but guarantee the further privatisation of the NHS in England. Democracy in the devolved nations – particularly in Scotland – will also be undermined as the realities of international trade could undermine the decisions of previous administrations to maintain the Scottish NHS as a public service. The Health and Social Care Act 2012 requires Clinical Commissioning Groups across England to put many health services out to competitive tender to both public and private providers. As a result, we have seen a significant increase in the number of private providers being awarded clinical and administrative contracts. Some mistakenly claim that the EU, under Procurement Directive 2014/24/EU, forces the NHS in England to open itself up to private capital. This is not true. 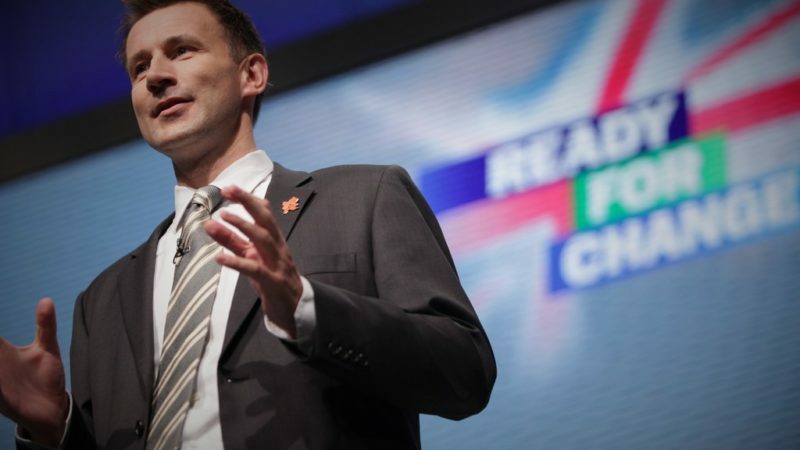 The decision to subject the NHS to the Procurement Directive was made by the Conservatives when they opened up NHS services to the market, while the devolved administrations refused to do so. Consequently, some are now arguing – incorrectly – that one of the “benefits” of Brexit will be renationalising the NHS, claiming that EU legislation currently acts as a backstop for the purchaser–provider split and enforcement of competition in awarding contracts. Yet again, this is untrue. EU procurement law only applies to public sector contracting authorities when they establish contracts with external suppliers to deliver goods or services. Those rules do not apply when public authorities secure those goods or services in-house. EU member states have the right to deliver public services within the public sector without opening them up to independent providers. To free the English NHS from being subject to EU procurement rules an incoming Labour government would need to introduce primary legislation to establish the Secretary of State for Health’s direct control over health services, in particular foundation trusts, and bring them firmly back within the public sector: in effect renationalising the English NHS. This would provide that ‘contracts’ between NHS commissioners and NHS bodies took the form of NHS contracts, as opposed to contracts that were enforceable in law. But there is one very clear way in which the EU could force the UK to retain the purchaser-provider split and demand outsourcing – a free trade agreement. If the UK leaves the EU to trade on WTO rules, it will have to negotiate free trade agreements with the EU and other large economies like China and the US. Any free trade agreement between the UK and these countries will be underpinned by Investor State Dispute Mechanisms (ISDM) – private, corporate courts where businesses can sue governments for implementing policies which negatively affect their profits. They leave no room for appeal, and only the corporations can sue. This would hardly be “taking back control”. The UK’s economy amounts to 3.85% of the world’s economy. The idea that we can dictate to the EU or the US whether we open the NHS up to private foreign investment is not credible. It also isn’t good enough to simply hope a Labour government comes into power. There is every chance we could still end up with a Conservative government after a general election. The risk a no-deal Brexit poses is compounded once we factor in the Conservatives’ attempt to roll out, without a vote in parliament, Integrated Care Providers (ICPs). ICPs were formerly known as Accountable Care Organisations, and have been denounced by Professor Stephen Hawking as increasing the risk of large scale NHS privatisation. ICPs would allow for private companies to manage the delivery of services and healthcare budgets covering entire regions of England under contracts lasting 10 to 15 years. They are being introduced without primary legislation and will not be NHS bodies and therefore not subject to the public accountability duties of NHS bodies. They pose innumerable risks to the democratic accountability of the NHS and patient rights. But alongside this they will act as an enormously attractive market for foreign investors. Future free trade agreements between the UK and other countries will be predicated upon ICPs remaining in place. A Conservative Party overseeing a hard-Brexit, an £80bn black hole in the public finances, which is in hock to the US, and desperate to join free trade deals like the Comprehensive and Progressive Agreement for Trans-Pacific Partnership (CPTPP) which would represent a bonfire of regulations, cannot be trusted. We need a People’s Vote in light of the facts of what Brexit really means. If we leave the EU on WTO terms we will never have another chance to bring the NHS back under public control and to give it the support, it needs to ensure the future wellbeing of generations to come. Dr Alex Ashman is leader of the National Health Action Party. Dr Louise Irvine is National Health Action Party Secretary.